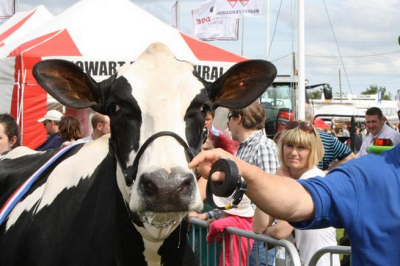 Port Lympne Reserve, Hadlow College and Kent County Council are among the organisations who have already signed up to have a stand at this year’s Kent County Show. The deadline for applications to have a stand at the show, which will be held on Friday, July 10, Saturday, July 11, and Sunday, July 12, is this Sunday. More than 200 stands are already booked for the event at the Kent Showground in Detling, with the fixed Alu-frame shedding completely sold out. Also already signed up are the Spa Valley Railway and Canterbury’s Marlowe Theatre, who have marquees where visitors can pop along to find out about offers and events. Other stands such as Kent County Council, Hadlow College, Kent Community NHS Foundation Trust and HM Prison Service will all be in evidence, with staff on hand to talk to visitors. The BBC and BBC Radio Kent will have an interactive dome where visitors can have a go at being a newsreader, participate in a radio drama and meet some of the CBeebies characters. The large agricultural area will have more agricultural machinery, more animal breed societies and experts available to answer any questions. 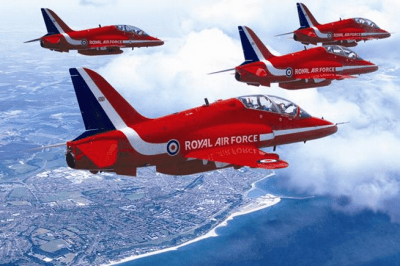 Also on the list of highlights for the event this year are the RAF Aerobatic Team, the Red Arrows, who will be there on the first day, Friday, July 10, at 2pm. Tradestands can be booked online at www.kentshowground.co.uk until midnight on Sunday and by special request after that date. For more information email kate@kentshowground.co.uk or visit the Tradestand information page on our website for terms and conditions. Tickets are priced at £41 in advance for a family or £48 on the gate, adults £18.50 in advance or £22 on the gate and concessions £13 or £15 on the gate. Child entry is £5 in advance or £6 on the gate although under fives go free. Parking is also free. Next Can you tower above all the others in baking competition?